Our story starts in 2009 when we were designated as a 501(3)(c) nonprofit. In 2010 we developed our first board of directors and we started applying for grants. 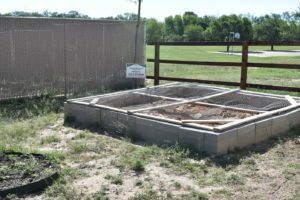 In 2012 we won our first grant for our first 3,000-gallon rain water harvesting tank. 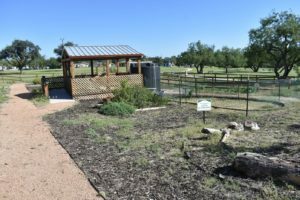 Our next grant was for $1,000 from the Pollinator Project and we used it to start our pathway in the Children’s Adventure Garden. That was the first official start to our project. 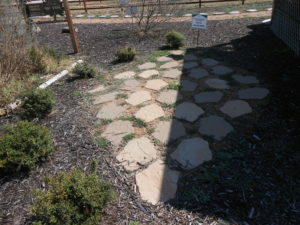 Our original plan was 16 areas: pond-less water feature, vegetable garden, pizza garden, tree stump garden, hummingbird garden, outdoor classroom, butterfly garden, tree trunk gathering area, 3 sisters American Indian Garden, prairie garden, digging area, butterfly-shaped garden, peace garden, bulb garden, story area & ABC garden. When creating our plan, we researched different sources and the Nature Explore Outdoor Classroom had the best models. 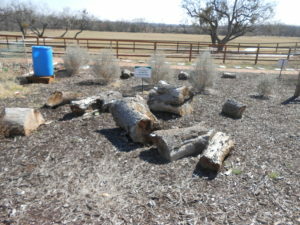 However, we added areas like the 3 sisters American Indian garden and others. 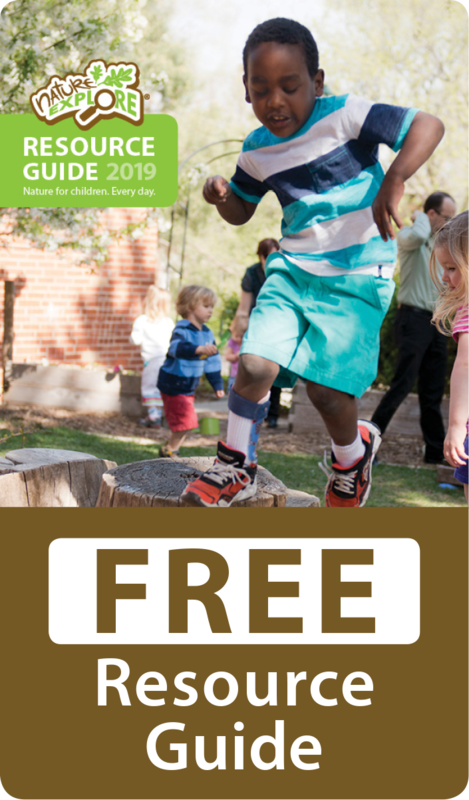 Once the design was complete, we started an Adopt-A-Garden promotion. We contacted businesses, organizations and individuals so they could adopt and fund the different areas. All areas were adopted and funded. To recognize the adopters, each area has a sign designating the area and who adopted it. Water is a concern in our area. We go in and out of drought situations regularly. Because of that, we want to be the example of how to have a beautiful garden without using municipal water. 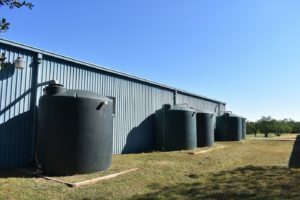 Therefore, we have five, 3,000-gallon rain tanks connected to the Rec Center. 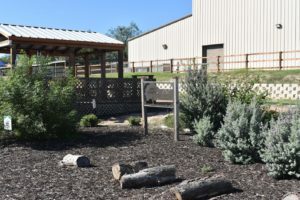 There is also a 2800 gallon tank connected to our outdoor classroom. All of these tanks were funded through a local foundation. The children use watering cans and water the garden from the rain tanks. This is one of their favorite activities. 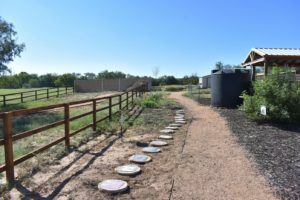 The pumps for our water feature are solar powered, as well. Part of our program is a horticulture program at the local men’s and women’s correctional facilities. 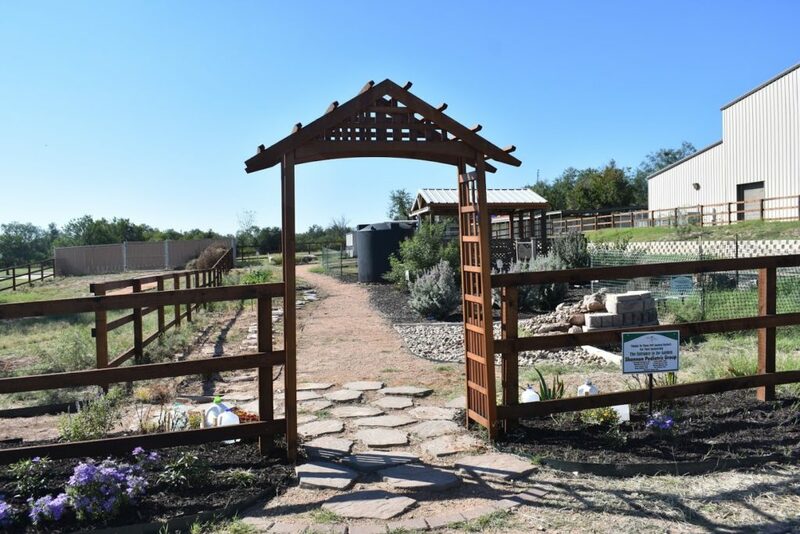 We are able to use the students from our program at the men’s facility to work in the garden. The members of this class have built our garden and they do all the maintenance. They get community service hours and get to do something worthwhile during their recovery.